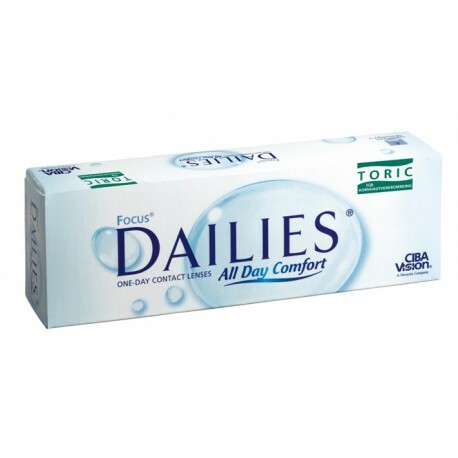 Focus Dailies Toric Contact Lenses 30 - . 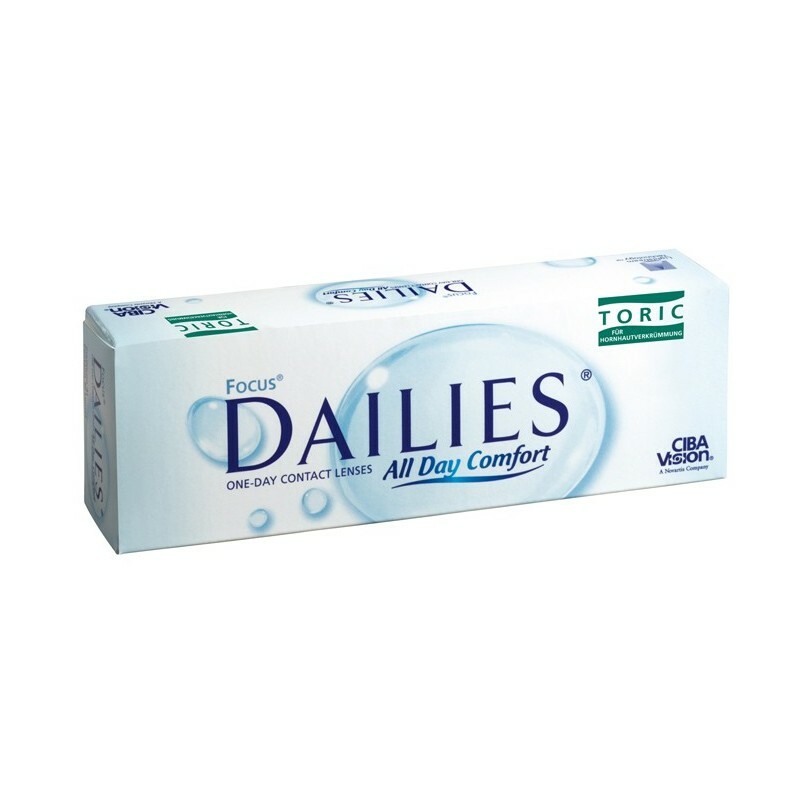 Focus Daily Toric is the first contact lens that corrects astigmatism that can be replaced every day. Get clearer vision without the hassle and discomfort of regular prescription contact lenses. The Focus Dialies Toric Contact Lenses is made of a material that continuously moisturizes your eyes while you're wearing them. Your eyes don't get dry and irritated which is often the case with regular lenses. It's disposable which makes it an ultra convenient solution for your astigmatism. You never need to worry about proper storage and maintenance of your contact lenses. Wear a fresh pair of contacts every day and keep your eyes healthy and your vision crystal clear.